This past weekend I have been working on a wish list of items for Christmas. Yes, for some this may seem early to be working on this, but I have family members that like to shop early and want to know what to buy so we work on wish lists in October. Years ago, as a new author, I would request books on the writing craft. As with books on any topic, some were helpful and others not so much. My main complaint with many of these books is they don’t give out a lot of good, useable information. There is too much fluff, history, or filler information. I want just the meat of the subject without all the other stuff. I want to know how the information pertains to actually writing a novel or more importantly, my novel. So this year, I have been taking a look at a few books to perfect my writing because even as a published author, I know there are always things that I can learn or perfect. So for today’s topic, I wanted to go over a few reference books I already own and a couple that I saw on Amazon that piqued my interest. Flip Dictionary and a Descriptionary – both these books work in the same way. They work in the opposite way of the dictionary for when you know what you want to say but can’t think of the word. The Descriptionary is broken up by subject. The flip dictionary also does it by subject as well as listing words sort of like a thesaurus. Baby Naming book – I have two of them that I flip through when looking for character names. Having an actual book works better than scrolling through names on the computer in my opinion. The Howdunit Series – Body Trauma and Deadly Doses – I received these two books as gifts back when I first started writing and love them. Body Trauma is a writer’s guide to wounds and injuries while Deadly Doses is a guide to poisons. The latter was helpful when creating my own poison in my The Elemental trilogy. Fantasy Reference book & The Complete Guide to Writing Fantasy (Vol 1 & 2) – While all of these have interesting information, these books fall more along the line of the books I mentioned with more “fluff” and less actual practical info. The Writer’s Journey – This is an excellent book to read to understand story structure. It is chock-full of examples from George Lucas and Steven Spielburg. While it isn’t necessarily a reference book, it is well worth a read. I recently purchased a Kindle book called Writing about Magic. It is book 3 in a series of 12 books by author Rayne Hall. I have not had a chance to read the book but for a mere 99 cents, I figured it couldn’t hurt to buy a reference book with 4.6 star rating. If I like it, I may just have to pick up a few of the other books in the series. Here are a few books I saw on Amazon that I thought might be interesting to read. It never hurts to read up on different techniques and viewpoints on the writing craft. I am sure there are many other helpful (and not so helpful) books out there. If you have a favorite, please share it in the comment section. 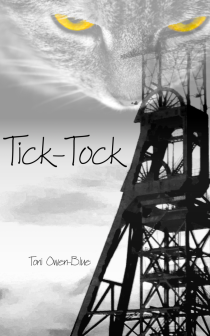 Author Toni Owen Blue just released her children’s book, Tick Tock, last month. This fantasy coming of age story is suitable for those age 10 on up. I think the first time I really considered myself a professional instead of an enthusiastic amateur was when I got my first fan review by email about my first work Double/Cross. Even though I’d been earning money from it and it did very well with shopfront reviews and scores. I think I just felt rather detached from it, like all those people might have, I don’t know, left reviews on completely the wrong product or something equally ridiculous. Don’t get me wrong, I really appreciate every single person who took the time to express their feelings on shopfront reviews. But there was something incredibly personal about receiving an email about how they felt. How much of yourself, your personality and experiences are in your books? I’m lucky enough (or unlucky depending on your perspective) to have had enough happen to me that’s really worth writing about, so quite a few of my own experiences are in my books, so much so that ‘Iris’ which is currently in editing is actually pretty autobiographical. It really does depend on what I’m writing which parts of me you can see though. For example in Double/Cross I break the fourth wall once in a while and get sarcastic about what’s going on, which I could (and very much enjoyed) doing, as it was a very fun project. The protagonist of Tick-Tock, Vega, shares a few experiences with me, being bullied in school and having trouble with her mother. There’s a bit of me in all my projects really, just different bits. Have you started your next project? If so can you share a little? This is a very well timed question as I’ve finished my most recent project just this week, Iris, which I’ve already mentioned is now in editing. It’s a middle grade realistic fiction book that follows young Iris as she struggles with growing up with one abusive and one absent parent. While that’s going through editing I’m geared up and planning the next project, another interactive fiction like Double/Cross, which I won’t spoil yet, although I will say to keep an eye out for it as I’ll probably be looking for Alpha testers towards the end of this year. I’m going to start with the worst thing about being the writer, because I’ve always liked to finish on high notes, and that is the way people look at writing, it’s one of those things that most people think they could do if they took the time, it’s not really viewed as a job. I think most authors will be familiar with the answer, when you tell people what you do ‘Ah – me too!” only to be told about an avalanche of ideas that have yet to be put on paper. In my mind this is like me claiming to be a doctor because I read ‘A guide to Anatomy’ one time. As for the best, I imagine it’s the same for many writers, I’m doing what I love, I’ve always wanted to write, and despite the very painful experience of having my rose tinted glasses ripped off my nose when I realized that writers can’t just bury themselves underneath a big pile of books and coffee, I still can’t think of anything in the world I would rather be doing. Tick-Tock is a middle-grade fantasy adventure for anyone 10+. It follows Vega, a twelve year old girl who’s living in the scarce village of Coalridge after her families’ exile from the much richer Sunlands. Her Mum devotes her life to the idea of going back to their old home, and Vega can’t find a single friend, aside from her brother. Vega starts our story as well meaning, but a little spoiled. Hating the situation she’s in, but at the same time not doing anything about it, her brother is the one to bring good fortune her way. But when this blows up in her face and Vega finds herself alone for the first time and has to grow up much faster than she’d like. I think everyone struggles with confidence time to time, especially at a younger age when dealing with self-identification is very new. I think this is something everyone goes through in their adolescence and then usually again later, namely finding how you can make yourself proud of what you do. That’s something that’s different for everyone and usually it’s something that you do. I’ll use myself as an example, when I was younger I did a lot of Kickboxing, and being good at that was how I got a lot of my self-worth. Looking back on it I don’t think that’s the best way to get your self-worth, because you end up defining yourself through it and that’s not who you are that’s just what you do. I wanted to take Vega and explore taking pride in yourself for who you are, if that’s clear. I think that’s something that should always be on people’s minds when they think about themselves, even though a lot of the time it isn’t (I’ll be the first one to hold my hand up and say I’m very bad at doing that). Titles are difficult for me, and I really wish I could employ someone to be a Title Creator or something because I’ve not improved in the slightest since my first work. All the Tick-Tock files are saved in my computer as Clockwork. I knew from the start I couldn’t keep that title because I read Philip Pullman’s book by the same name a lot when I was younger and I can’t get it out of my head. Eventually I had to sit and actually come up with a title I could use and thinking about it I realized Tick-Tock was perfect. Mechanical clockwork is something that hangs over Vega like a storm cloud throughout the book, the industry of metal work being the reason for her family’s exile and poor situation, and ultimately it becomes the reason she loses a family member. Time is also a big factor for Vega, she starts the book with time ticking down till the moment she’ll have to accept her fate and go work in the mines. Later on in the book she finds herself losing time completely and things get very muddled and confusing. Combining the two ideas turned out to be perfect. My brother was absolutely thrilled to hear that Vega, with her traumatic character arc from slightly spoiled to kind-hearted and considerate was in fact loosely based on him when he was around twelve. Which character is your favourite? Do you dislike any of them? I love most of the characters for one reason or another. I love how tenacious Vega is, Rigel’s dependability and good humour. Stia is one of my absolute favourites with her fierce loyalty and Lyra’s confident gut busting made some of my favourite moments. You’ll note I say most characters, there is one I absolutely despise and that’s Na’ir, he is just everything that makes me angry. I half wish he was real because then I’d be able to go full zombie apocalypse on him with a bat. Coalridge. The name says it all. It’s a barren wasteland running down the ridge to the little town where the people spend most of their lives deep underground, mining rocks as hard as their heads. Coalridge is where Vega is stuck, even though she’s so different. Exiled with her family from a home she was too young to remember Vega belongs neither here nor there. The one place she knows she doesn’t belong is crawling around in the mines. The only person who understands is Rigel, her brother. But when the pact that was meant to help their escape goes horribly wrong Vega ends up truly alone for the first time. It’s strange how easy running away is when you have nothing to lose. Toni Owen-Blue is a passionate writer of Interactive and Children’s Fiction, with a background in script writing and thrilling chair catalogue articles. 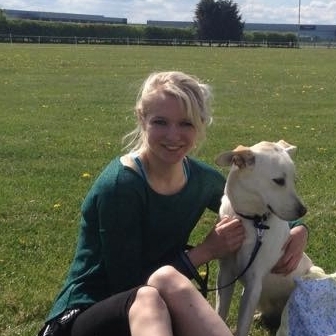 She lives with Caspian, her dog, in Sunny England. Toni’s inspired to write books for children in difficult situations in the hope that one day her books might inspire children the same way she was when she was young and living through a lot of the difficulties that people know exist in the backs of their heads, but don’t like to discuss very much. On the other hand her Interactive Fiction has always been about having fun. Interactive Fiction is all about being able to influence a story as it unfolds before you, being able to snub the characters who rub you up the wrong way and trying to help those who you think need you. With a million project possibilities before her Toni can’t get enough of creating both. You can find more about Toni on her webpage. And you can purchase Tick Tock on Amazon and Amazon UK. In the middle of September, we brought home a 9-week-old Cocker Spaniel puppy whom we named Katie Bell. She joins the family of animals that already included three cats and another Cocker Spaniel named Sadie Rose. Katie Bell has turned out to be a wonderful addition to the family and has provided the needed companionship for Sadie Rose. One reason we wanted to add another dog was to be a companion for our other Cocker Spaniel, Sadie Rose, who turned two in August. When we brought Katie Bell home, Sadie Rose looked at us like we were crazy to bring this bundle of energy into the house. There have been a few snarling matches as they set boundaries but after seeing them play together, I know it will be a good match. Our three cats – Nikki, Tails and Spooky – have finally adapted to getting Sadie Rose, who is no longer in the exuberant puppy phase. 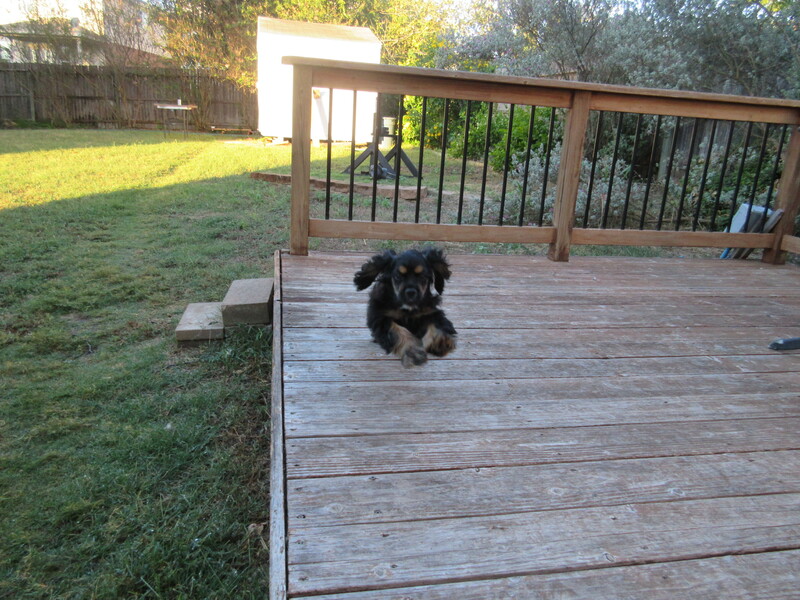 And then we add a hyper little fluff ball to the mix who likes to bark at the cats. Needless to say, they aren’t happy. Tails has never warmed up to Sadie and now avoids both dogs. Nikki’s reaction is to hiss at Katie and tolerate the attention of Sadie. Only Spooky seems fine with both, though I am sure she doesn’t like the barking ball of fur. Katie Bell had never been outside before we brought her home. So the first week was a messy adventure. But the good thing is that she learned to use the pet door from the beginning. And with Sadie Rose to show her what to do, she was soon happily going outside. Only this past week of rain has caused her a bit of a regression as she seems to now want to get her paws wet. Two weeks ago, Katie began a six-week puppy obedience class at Petsmart. We have only had two classes, but she seems to be doing okay. She is just so bouncy and excitable that it sometimes is hard to keep her attention. But I know from taking Sadie Rose the class will be worth it. 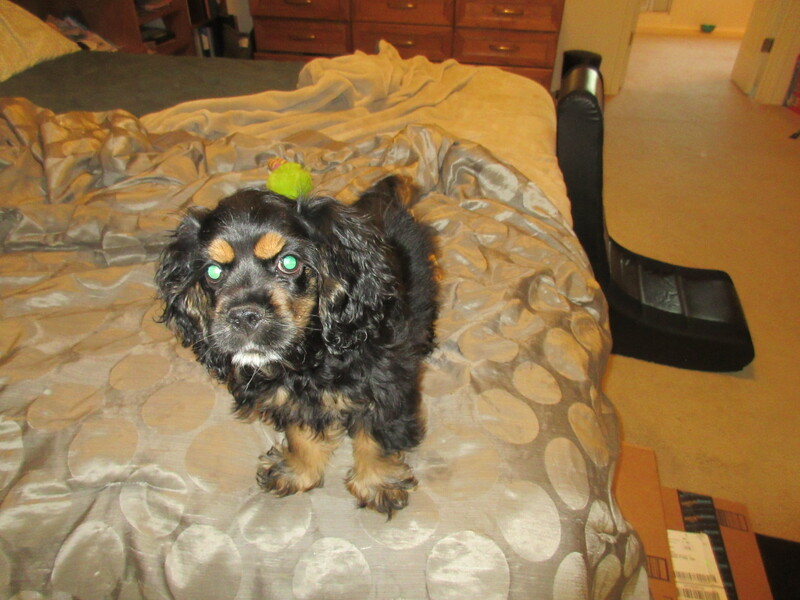 Coming up in November, Katie Bell will be four months old and ready for spaying. It isn’t even a conversation here at the house. We get all of our animals spayed. Overall, I think Katie Bell fits in with our family well and has been a nice addition. But we are definitely NOT adding any more members to this family! Today I welcome author Essel Pratt to my blog where he discusses his first book, Final Reverie, a fantasy adventure. I was born and raised in Mishawaka, Indiana (North Central part by the University of Notre Dame). I am married to the woman of my dreams and have 2 daughters and a step-son. We have two huskies, a Chihuahua/rat terrier, and two cats. I work at a community college during the day and am also working toward my Bachelors in Psychology. By night, I am acquisitions at J. Ellington Ashton Press and also an editor. The best advice I have received is simply to just write. It doesn’t matter what I write, if it is good, or if it genius. Writing, even if the content is bad, will spawn new ideas and coerce more imaginative thought. There are many short stories that I have ditched and tossed aside into a folder on my hard drive, only to go back to them later and include them in another story or to simply see if I can make it better. The worst advice I’ve received is to write what the readers want to read. I feel that if I only wrote for the readers, and not myself, then the fun would fade away. When the fun fades, I don’t see a reason to write anymore. That doesn’t mean I don’t want the writers to enjoy it, quite the opposite actually. I feel that if I am enjoying the story while I write, it will translate to the readers. When I write short stories, I tend to just go with the flow and write what comes to mind. However, when I write novels, I do outline. I think I outline novels because there is so much going on that it is best to have a clear goal from beginning to end. It also helps to keep the story straight. 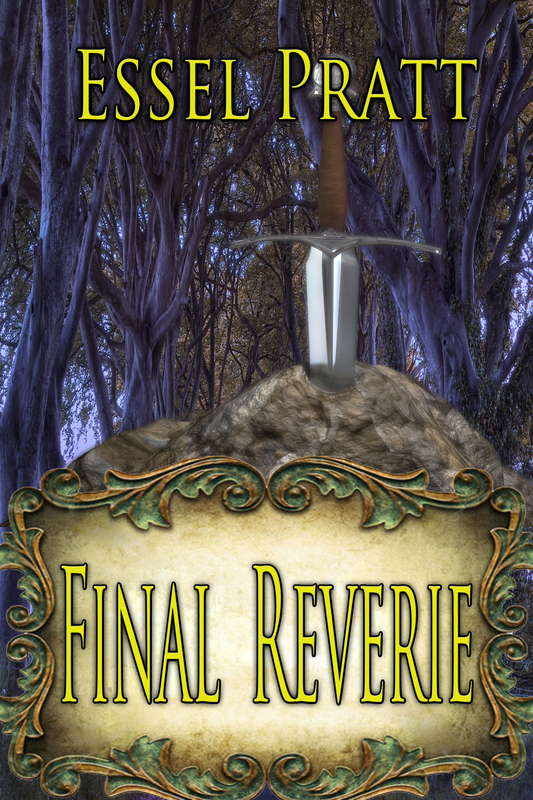 My first novel, Final Reverie, started as a short story that would not leave my head. So, I started outlining and realized what the story was meant to be. My first novel, Final Reverie, is a fantasy adventure about a young adult boy named Franklyn and his brother, a wolf named Chij. The core of the story takes place years after our technological world was destroyed and Mother Nature’s magic remerged onto the planet. An evil being, named Nafets, is threatening to awaken and reclaim his place at the top of the world. Guided by heroes of the past, Franklyn and Chij are tasked to complete the journey to defeat Nafets. 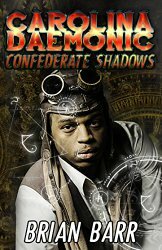 Along the way, they encounter magical beings, both good and evil, as they attempt to add balance to the magical world they live in. As a child and young adult, video games became my escape. Whenever life stressed me out, school became difficult, or life just didn’t go as I hoped it would, I would find myself immersing my imagination into video games. All of my frustrations placed me into the character behind the controller. However, I never used that frustration to channel anger. Instead, I used it to become the character and become something greater than I ever thought I was – a hero. One of those games, Final Fantasy, took being a hero to a more interactive level. Watching the character grow, as I hoped to do, and achieve greatness, even after failure, was inspiring. So, the name Final Reverie is an homage to the early Final Fantasy games. I always told myself that I would not use real people as characters in my books. However, in Final Reverie, I just could not help it. Nearly every character is based on someone I know. Some only by name. Others by personality and name. It is strange, I found that it allowed the characters to come alive on the page and naturally evolve as I wrote. I never intended Final Reverie to be a part of a series. However, as with the short story it is based on, it has not left my head. Weirdly, the past is what haunts me about the story. So, I decided that I would write the trilogy in reverse. Final Reverie is the first, and I guess you could say last, book in the series. The second book takes place before the events and explores the heroes that guided Franklyn and Chij on their adventure. It will be called Abiding Reverie. The third book will explore the time when technology ended and magic emerged. I have thought of this question many times in the past. There are so many fantastic books out there, but I would have to say the Magician’s Nephew would be the book. To witness the birth of Narnia and experience the majestic world within. My two all-time favorite authors are C.S. Lewis and Clive Barker. When I was thinking if a pseudonym, I nearly chose Clive Lewis, as a tribute to both, but went with Essel instead (A combination of my first and middle name initials “S” and “L”). Although C.S. Lewis writes fantastic fantasy and Clive Barker writes horror, the combined imagination of both would be simply amazing. Having the opportunity to sit in a room with them would be euphoric. Many years after the downfall of technology, magic has reclaimed its position within Earth’s ecosystem. Over time, the delicate balance of between good and evil has weighed heavily toward the malevolent side, despite attempts at stabilizing the equilibrium. Two heroes, Franklyn – an adolescent boy, and Chij – his wolf brother, travel the land with a sole purpose of helping those that cannot defend themselves from the creatures that lurk and feed upon the weak. Their carefree travels are unexpectedly given a larger purpose when they are tasked to search for, and destroy, the nefarious being known as Nafets – who was imprisoned many years prior but teeters on the edge of reemergence. Throughout their journey, Franklyn and Chij encounter heroes of the past that guide them toward the final battle, as well as Atrin – an aspiring adversary that wishes to overthrow Nafets and claim his seat upon the throne of malevolence. Franklyn and Chij endure an emotional journey filled with blood, tears, and self-discovery as they encounter the unexpected and become entangled in a expedition that will test their abilities and emotions. As a husband, a father, and a pet owner, Essel’s responsibilities never end. 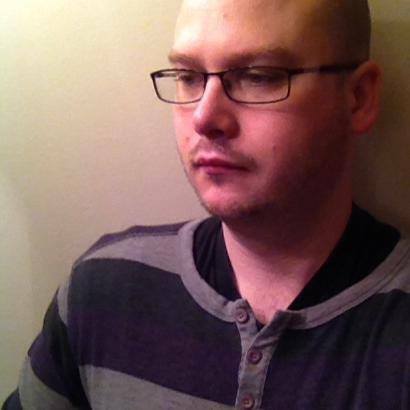 Other than a family man, he works a full time job an hour from his home, he is a writer for the Inquisitr, a full time student on his journey to a degree, Event Calendar Coordinator for the Horror Writers Association, and is also the Chief of Acquisitions and Executive Assistant for J. Ellington Ashton Press. His means of relieving stress and relaxing equate to sitting in front of his dual screens and writing the tales within the recesses of his mind. Inspired by C.S. Lewis, Clive Barker, Stephen King, Harper Lee, William Golding, and many more, Essel doesn’t restrain his writings to straight horror. His first Novel, Final Reverie is more Fantasy/Adventure, but does include elements of Horror. His first zombie book, The ABC’s of Zombie Friendship, attacks the zombie genre from an alternate perspective. Future books, that are in progress and yet to be imagined, will explore the blurred boundaries of horror within its competing genres, mixing the elements into a literary stew. You can find out more about Essel on his website or follow him on Twitter or Facebook. You can buy Final Reverie on Amazon. Revisiting my first post: Can someone freeze time, please? I have been writing this blog for a little over three years. In the beginning, I wrote twice a week on writing/publishing issues but then dropped it down to once a week. I figure I have written about 175 posts on the writing and self-publishing industry. That is a lot of posts covering a variety of topics. I feel like I have written about every subject out there though I am sure there are a few I might have missed. I had been struggling for a topic for this week’s post, so I decided to go back and look at my first post to see if I could update it now that I have more experience. My first post on writing was titled “Can someone freeze time, please?” It was about trying to find time to write while being a busy stay-at-home mom. 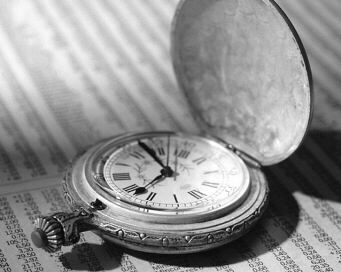 Sadly, I have to say that in the past three years, I have not figured out how to find more writing time or sometimes any writing time. In fact, I have written on this same topic at least five times, including a post on cutting out time wasting activities and one on diving your time between marketing and writing. So in the past three years, I obviously haven’t found the key to finding time to write. In fact, I keep taking on more tasks (an officer position for the PTA, bookkeeper for my husband’s law firm, and for about 10 months a birthday invitation store on Etsy – which closed last week). I have been bad about not prioritizing my writing higher on my to-do list. I know many authors spout out the adage about any small amount of writing time is worth it, but I don’t necessarily like writing a line or two here and there. I want some dedicated time to write. But I should know by now that this isn’t going to happen unless I put off some other things and make writing my priority. This is one reason I am considering participating in the NaNoWriMo challenge in November. Most of my work as PTA Treasurer will be done for the year, our neighborhood Fall Festival will be over, and the call for volunteers at the school is at its lowest in November so this should be a good month to make starting my next novel my priority. And in the meantime, I guess I will go back to writing my novel in the few spare minutes I have here in there. Because after all, I can’t freeze time.